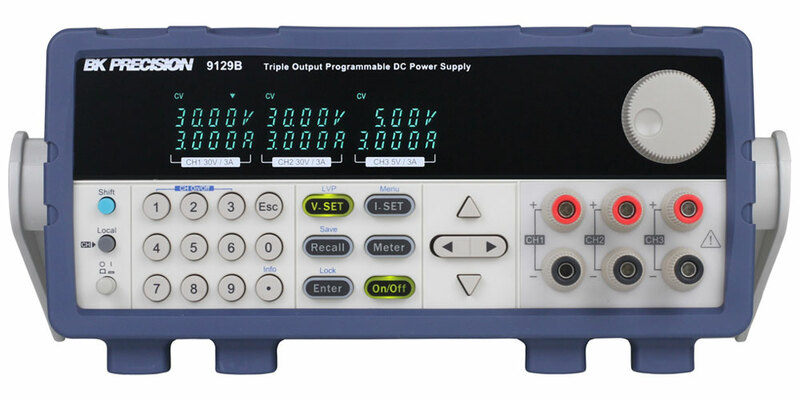 The 9129B is an economical triple output linear programmable DC power supply featuring isolated outputs that can be adjusted independently or combined in series or parallel to output higher voltage or current. 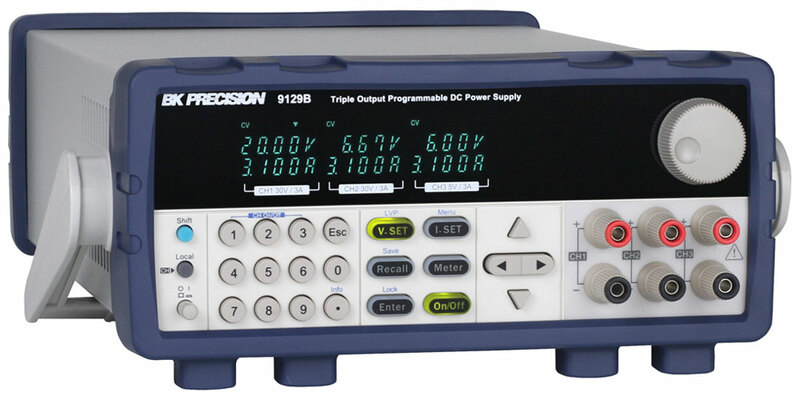 Additionally, this supply can operate in tracking mode with user-configurable ratios between channels. The front panel keys and rotary knob with convenient cursors let users quickly set voltage and current values. Up to 27 different instrument settings can be saved and recalled. 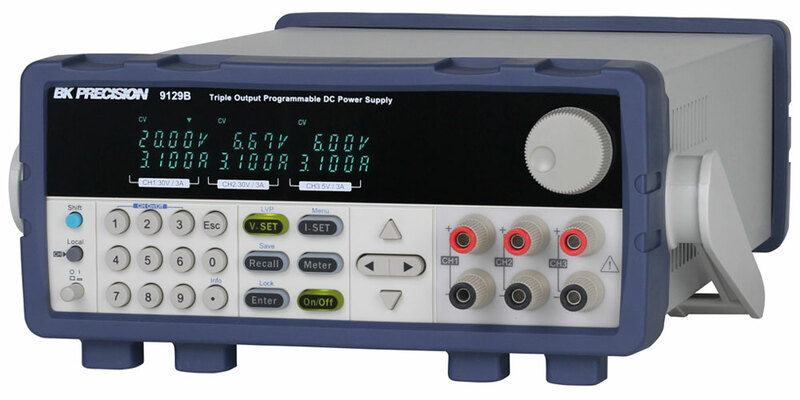 The power-on state of the outputs can also be configured. The USB to TTL interface supporting SCPI commands can be used to remotely control the power supply via a PC. 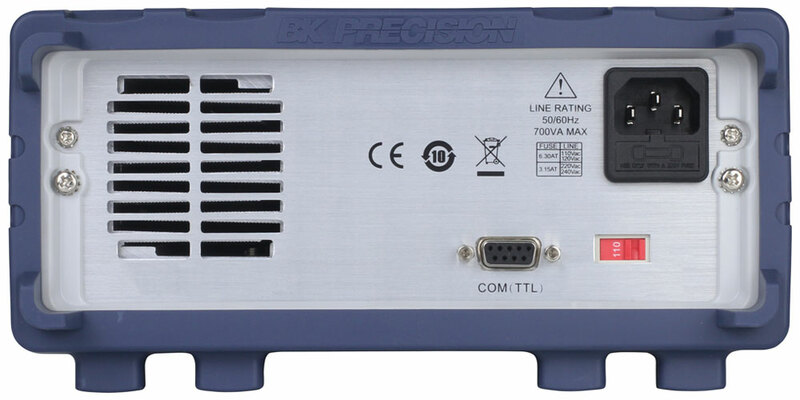 Alternatively, users can control the 9129B, execute test sequences or log measurements using the provided PC software application. This software also integrates with Data Dashboard for LabVIEW apps enabling iOS, Android, or Windows 8 compatible tablets or smartphones to remotely monitor select measurement indicators. Consider the 9130B Series if you are looking for an enhanced version with better specifications and many additional features.